MACOM Technology Solutions has begun sampling a chipset solution for 200G and 400G CWDM optical module providers servicing Cloud Data Center applications. The company plans live demos at the upcoming China International Optoelectronic Exposition (CIOE) and European Conference on Optical Communication (ECOC) tradeshows. The chipset enables 200G modules at under 4.5W and 400G modules at under 9W total power consumption. 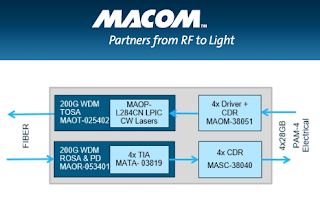 MACOM said its full transmit and receive solution operates at up to 53 Gbps PAM-4 data rates per lane and is optimized for use in 200G QSFP56 and 400G QSFP-DD and OSFP module applications. 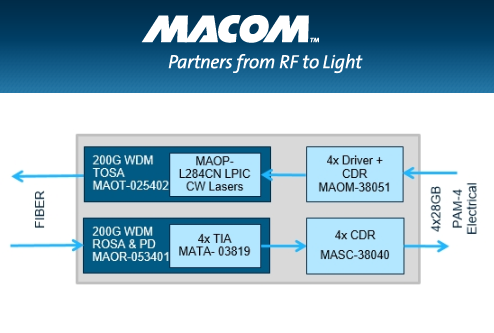 For 200G demonstration, the solution is comprised of the MAOM-38051 four-channel transmit CDR and modulator driver and MAOT-025402 TOSA with embedded MAOP-L284CN CWDM L-PIC (silicon photonic integrated circuit with integrated CW lasers) transmitter, and on the receive side features the MAOR-053401 ROSA with embedded demultiplexer, BSP56B photodetectors MATA-03819 quad TIA and the MASC-38040 four-channel receive CDR. The combined, high-performance MACOM solution enables a low bit error rate (BER) and better than 1E-8 pre-forward error correction (Pre-FEC). Commercial shipments are targeted for early 2019. Liberty Global has selected Ericsson for the consolidation of Network Operations Center service delivery in six European locations: the UK, Ireland, the Netherlands, Hungary, Poland and Germany. 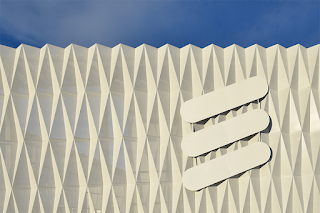 Under the contract, Ericsson has successfully undertaken operations consolidation and transfer of services functions of the various NOCs. 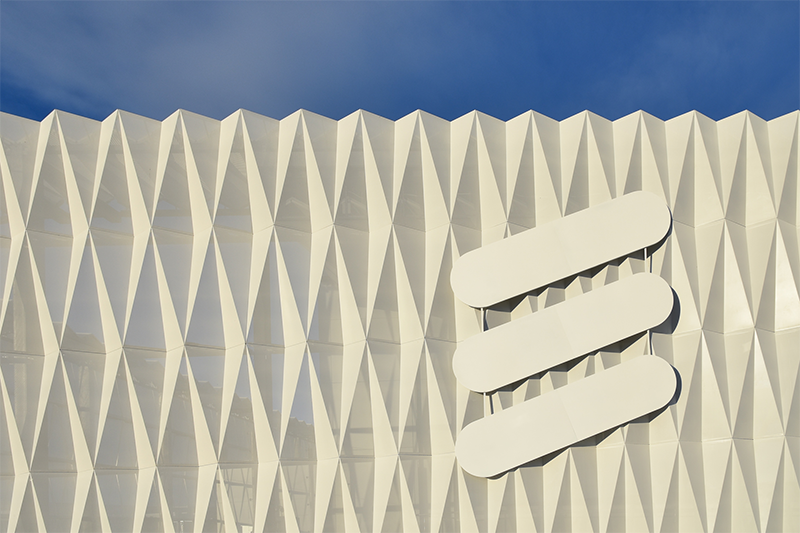 This builds on the existing Managed Services contract between Ericsson and Liberty Global for mobile networks and fixed field services in Poland, Hungary and Austria.